The Virtual Console for the 3DS will feature games from the Game Boy, Game Boy Color, Game Gear, and TurboGrafx-16. For the next couple of weeks I will be releasing my Top Ten Most Wanted games for these systems and others that may potentially make the 3DS Virtual Console. Whenever a game is part of a series, I will just put the series name and the game I’m most interested in seeing. 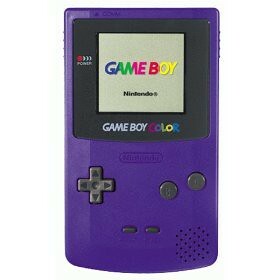 This week I will focus on the Game Boy Color. Resident Evil Gaiden is a weird game. It is the first portable original Resident Evil game. 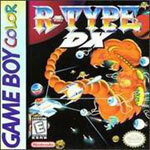 It features a different kind of gameplay from its console brothers. You run around a ship in topdown view and if you touch a zombie, the game changes to first person mode and you have to shoot them by lining your reticule with some onscreen prompts. It received generally unfavorable reviews. However, it is a guilty pleasure for me. It features my favorite character from the Resident Evil saga, Leon S. Kennedy, and you can finally play as Barry. I’ve only played a little bit of this game, but I am eager to play it to completion. Trivia: This game is non-canon. 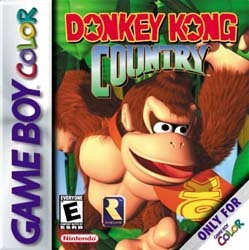 This is the only game to be released for a Game Boy system. It’s the first Resident Evil game to be rated teen. Gaiden’s manual states that Leon was a former member of S.T.A.R.S., which is incorrect. Mega Man Xtreme 1 and 2 take place in the Mega Man X timeline. 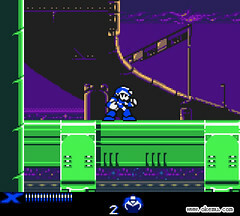 They feature bosses and gameplay elements from Mega Man X-X4. I’m interested in these games because portable Mega Man games, in which you actually play as Mega Man, are few and far between. They also have great gameplay, graphics, and music. I am most interested in playing the first one because it has elements from my favorite X games, 1 and 2. 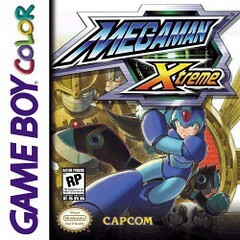 Trivia: Mega Man Xtreme features no original levels, they're all taken from X and X2 on the Super Nintendo. The normal game has 4 robot leaders taken from X and X2. The unlockable hard mode has four different robot leaders. The hardest unlockable difficulty combines all 8 into a single game. You can play as Zero in Xtreme 2. Xtreme 2 marks Iris’ first chronological appearance. I've played this cart multiple times throughout the years and I never get tired of it, even though it technically has no replay value. They are two of those old point and click adventures where there's pretty much only one route. However, the story is pretty cool, and the music and settings are very atmospheric. In the first one, you play an amnesiac P.I. who is wanted for murder. In the second one, you are accused of stealing over a hundred grand from a mob boss and you once again have to clear your name. The only downer in this package is that the music for the NES version of the first game was better. Otherwise, this is an awesome buy. Trivia: A NES port of the second game was completed but never released. If you forget to put your pants on at the beginning of the game (a mistake that will cause you to be arrested for gross indecency, being sent to jail, and losing the game), Stogie Martin comments before going away: "By the way, I've never seen purple underpants before!" — a line from the movie Back to the Future. I have played very little of Shantae. However, I immediately recognized its quality. It’s one of the best titles for the Game Boy Color, and also one of its rarest. 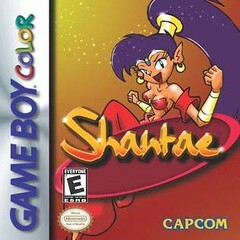 In it you play a half-genie named Shantae who must protect Scuttle Town from her nemesis Risky Boots, a lady pirate. You traverse through 2D sidescrolling stages using your hair as a weapon and transforming into different creatures by using magical dances. Trivia: The game is so rare it usually fetches over $100 on eBay. The game was developed by Matt Bozon, brother of former IGN Nintendo editor Mark Bozon. A sequel was released for the DSi Ware service. Shantae can be seen sitting on the top right shelf of the bookcase in a house in World 2 of A Boy And His Blob for the Nintendo Wii. Matt Bozon created a Shantae microgame that can be downloaded in WarioWare D.I.Y. & WarioWare D.I.Y. Showcase. This game took me by surprise when I played it for the first time. It belonged to my sister but I loved it so much that she gave it to me. 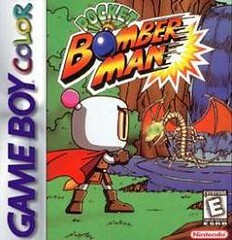 In it you play a Bomberman (how many are there anyway) who travels through 5 lands ridding it from evil by using bombs and powerups. Each world also has an end boss that you must defeat. Unlike, the earlier games, this one is a sidescroller and you have the ability to jump. Trivia: As part of the ad campaign for this game, Nintendo.com published an interview with Bomberman, before the game was released. You can read it here. The Wario Land games are a series that I have always wanted to get into. Wario Land introduces Wario’s invulnerability which allows him to be burned and flattened but sustain no damage. Wario Land 3 continues this idea by adding more ways in which Wario can be deformed, either through enemy contact or through powerups. He has to take advantage of these transformations in order to progress through the game. I am most interested in playing the third one because it is heralded as the pinnacle of the series. Trivia: Wario Land II was the last first party title released for the Game Boy. 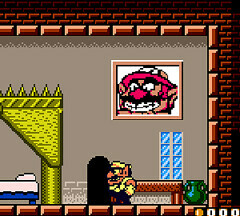 Wario Land II for the Game Boy Color is a remake of that game. 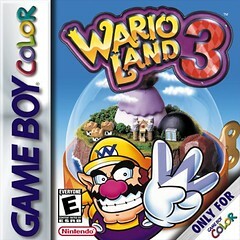 The Wario Land series is a spin off of the Super Mario Land series. Mario was introduced as Mario’s main nemesis in Super Mario Land II. Super Mario Land III is the first Wario Land. 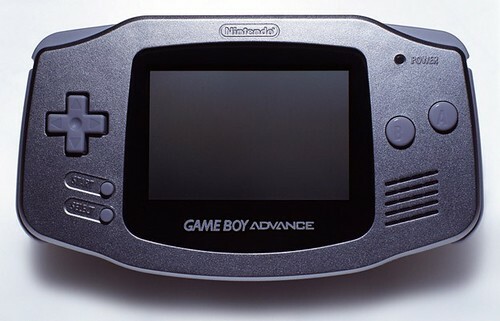 On May 1, 1999, Nintendo fulfilled the dreams of millions of gamers when they finally released a portable version of arguably the most important game in the history of video games. They didn’t stop there, though. They added an overworld level map, simultaneous multiplayer, a challenge mode, and the entire Japanese version of Super Mario Bros. 2, known here as “The Lost Levels,” among other things. The only drawback was that the Game Boy Color screen has a lower resolution than that of the NES game, therefore the screen showed less of the game at a time than we were used to. However, that is a small drawback to an otherwise outstanding game. 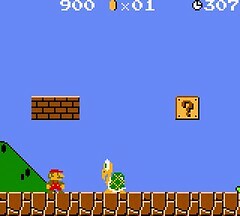 Trivia: Many glitches from the original game were taken out of Super Mario Bros. Deluxe. As such, well-known glitches such as World -1 and Small Fire Mario cannot be performed in this game. Water and Lava are animated, rather than being motionless. Luigi's sprite palette has been changed. In the original, Luigi wore a green shirt with white overalls, and Fire Luigi wore a red shirt with white overalls, looking identical to Fire Mario. In Super Mario Bros. Deluxe, Luigi's palette was changed to reflect that of Mario's. As such, Luigi wears a brownish-green shirt with green overalls, and Fire Luigi wears a green shirt with white overalls. Various sounds were added for various actions that were silent in the original. For instance, the Jumping Board makes sounds when Mario jumps on it, a sound is made whenever Lakitu tosses a Spiny Egg, Mario makes skidding sounds when he reverses while walking (much like in Super Mario Bros.: The Lost Levels), Cheep-Cheeps make a noise before they jump, and finally, just as in the Super Mario All-Stars version, a chime or buzz will sound depending on whether or not Mario takes the right path in castle levels. 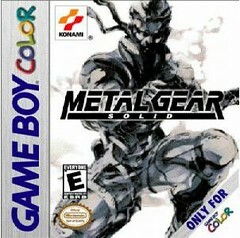 Metal Gear Solid for the Game Boy Color is one of the few Metal Gear games that I have never played. It is played in top down view, like the first two Metal Gear Games. It feature a stage based structure, as opposed to the previous games. It also features a VR Training mode, just like the console version. I am a huge Metal Gear fan and this game takes elements from the NES and MSX games and combines them with elements from Metal Gear Solid on the PS1. 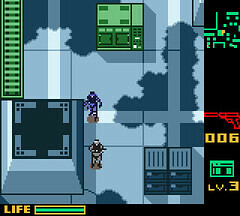 Trivia: In Japan, the game is called Metal Gear: Ghost Babel. The game is not part of the Metal Gear continuity. It is actually an alternate sequel to Metal Gear. 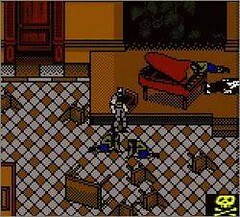 Since the game was developed for Game Boy Color, a platform that had a younger user base than the PlayStation, the "Fogger", a smoke emitting device, replaces Solid Snake's traditional cigarettes. However, Snake can be seen smoking a cigarette in the story intro. After completing all the Special Mission stages, a mysterious person named No. 4 makes a cryptic reference to the unknown participant taking part in the VR missions, referring to the participant as "Jack." In stage 11, there is a secret room containing the destroyed remains of the TX-55 Metal Gear. Calling Campbell while looking at the remains will trigger a special Codec conversation about it. 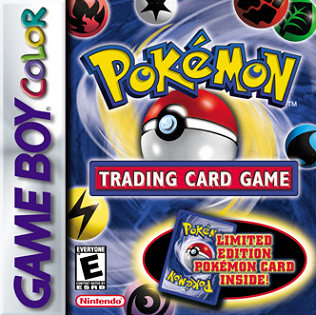 Gold, Silver, and Crystal are regarded as the best games in the Pokemon series. They introduced new elements to the franchise such as a day and night cycle, breeding, shiny pokemon, and Pokerus. It also introduced two new types, Steel and Dark. 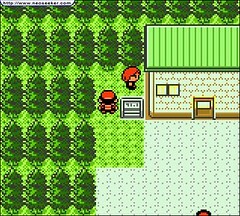 Pokemon Crystal added the characters Kris, Eusine, and the legendary Pokemon Suicune, among other changes. 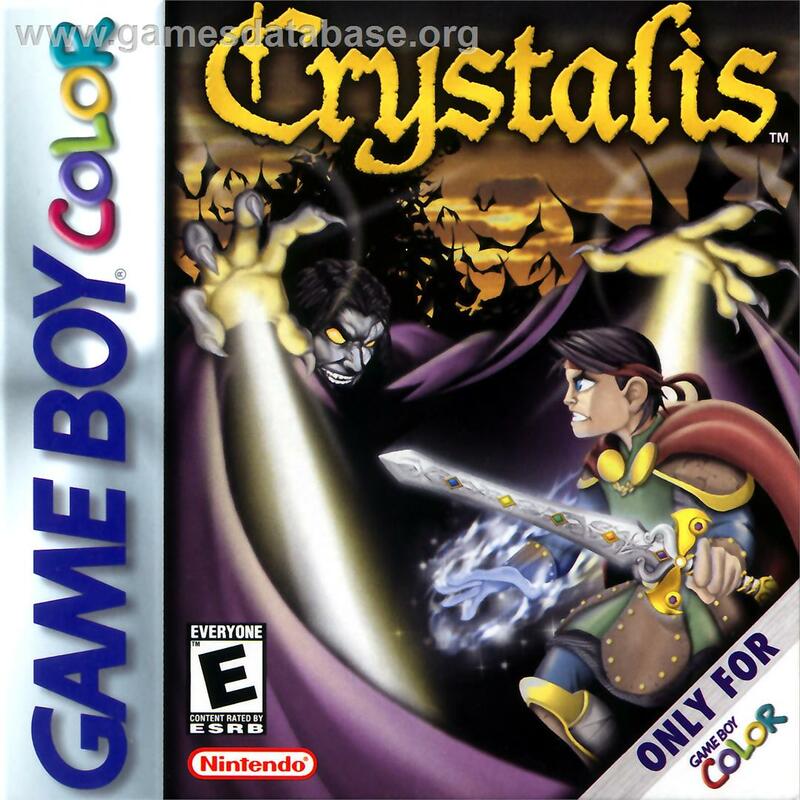 The version I’m most interested in playing is Crystal, which is the most complete of the three versions. Trivia: The games started the trend of having legendary Pokémon as mascots and the trend of using types of precious stones or metals as names. Pokémon Gold and Silver are the only games so far to have differences between the version-exclusive Pokémon in the Japanese and international releases. 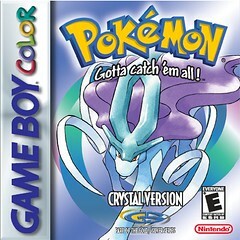 Pokemon Crystal added the characters Kris, Eusine, and the legendary Pokemon Suicune. Kris marks the first time the player could play as a female trainer. Due to the female character not being in Gold or Silver, the sprite of the character will automatically change to the male character's sprite when trading or battling with another game. Although Pokémon Gold and Silver are compatible with all Game Boy models (original up to the Game Boy Advance SP), Crystal will not work on models prior to the Game Boy Color. This is due to the cartridges being of different models. This is the last main series game to use the slogan Gotta catch 'em all!. The Legend of Zelda is my favorite series of all time. As such, you’d think I would have been all over Link’s Awakening, Oracle of Ages, and Oracle of Seasons. I am ashamed to say that I have never finished a portable Zelda game and I have them all (except for The Minish Cap and Spirit Tracks). I have started all of these games at least once, but for some reason or other, never finished them. 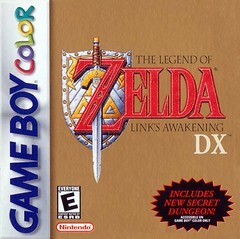 Link’s Awakening DX is an upgraded version of Link’s Awakening on the Game Boy. 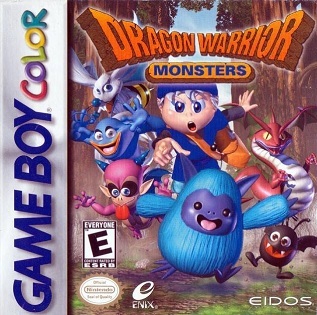 The game was given a Game Boy Color makeover and a new dungeon called the Color Dungeon, which is inaccessible when the game is played in the original monochrome Game Boy. A photographer, who appears in different parts of the game, was also added. The Oracle games were released simultaneously and are completely different games with different storylines, characters, and areas. In Oracle of Seasons, Link uses the Rod of Seasons in order to change seasons in the Land of Holodrum which is required to progress. In Oracle of Ages, Link uses the Harp of Ages to travel through time, which is also requires to progress. Oracle of Seasons is more action oriented while Oracle of Ages is more puzzle oriented. One very unique feature of these two games is the ability to link (no pun intended) with each other, by using passwords, in order to form one linear plot. You can only obtain the True Ending by playing a Linked Game by defeating Twinrova and Ganon. Even though the Oracle games are regarded as superior to Link’s Awakening by most, I am most looking forward to play Link’s Awakening because it is the portable Zelda game that I have restarted the most without ever finishing, and it gives me great shame. You can say that the Wind Fish and I have unfinished business. Trivia for Link’s Awakening: Link’s Awakening feature many cameos from Super Mario Bros. characters. It is heavily theorized that the characters of Marin and Tarin inspired the characters Malon and Talon from Ocarina of Time. Tarin bears an uncanny resemblance to Mario. The Warp glitch in Link’s Awakening is not present in the DX version. Princess Zelda is not featured at all in Link’s Awakening, though she is referenced by Link, initially confusing Marin for her. If the name ZELDA is used when creating a new game in Link’s Awakening, a remixed Zelda theme will play in the background. Rather than the usual maximum of 20, this game has a maximum of only 14 heart containers. 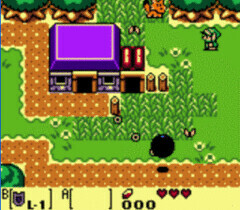 In the first shop, Link can sneak an item past the shopkeeper and acquire it for free. He will, however, be labeled "THIEF" for the rest of the game. Trivia for Oracle of Seasons and Oracle of Ages: The Oracle games were originally intended to be three games called the Triforce Trilogy. In compliance with the Triforce Trilogy comprised of Oracle of Ages, Oracle of Seasons, and the canceled Mystical Seed of Courage, the pre-release title of Oracle of Seasons was Mystical Seed of Power. and likewise, Oracle of Ages was first called Mystical Seed of Wisdom.It is interesting to note that most of the bosses in this game reflect those of the original Legend of Zelda title. Tune in next week for my next Top Ten 3DS Virtual Console Wishist which will focus on Game Boy Advance games. A-freakin-men on that Zelda stuff. I would love a means to play Link's Awakening and the Oracle Series again without having to use roms or my old decrepit GBC/GBA. 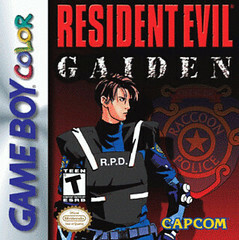 Dude, Resident Evil Gaiden? Seriously? Gawd that game was TERRIBLE! Shame on you for bringing it up in this thread! Shame! Shame on you, and your house....! That last one is kind of a wildcard. It was just interesting and somewhat amazing to me at the time that they were able to shrink down an SNES game down to a Gameboy platform. It was actually pretty good. YES YES YES! 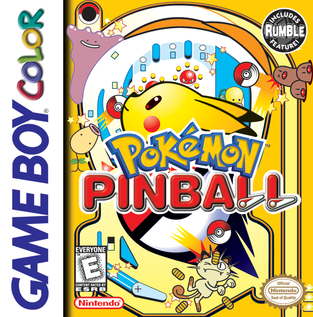 Pokemon Pinball! I NEED that game so damn bad. Never owned it but it's so fun! I do own the trading card game though in digital form but I'd love to be able to play it again. It was a lot of fun! Nice, I want most of these games. Especially Oracle of Ages, Shantae, and Wario Land 3 which I've never played. 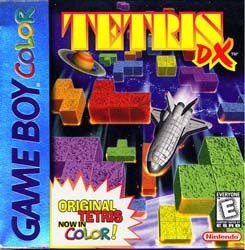 One of the best versions of Tetris ever. I knew Resident Evil Gaiden may cause an uproar . Bionic Commando and R-Type almost made the list. As for Donkey Kong Country, I still have 4 more of these top tens to go, and two where this series might fit. I'm still debating which one of those two to put it in, though. Trivia: Actually Tarin bears a resemblance to Mario, not Marin, since Marin is a girl :p And at the time, 20 wasn't the "usual" maximum number of hearts - LoZ only has 16 and AoL just has a life bar (weird). I'm glad to see Metal Gear Solid made the list. That is a fantastic game, definitely highly underappreciated. @sirmastersephiroth No problem. It's a shame you haven't at least played Link's Awakening -- it's one of the most unique Zelda games, and it's also fantastic. On the other hand, I'm a bit jealous that you'll be experiencing it for the first time. I'm not as hot on the Oracle games (or Minish Cap, really) as most people, but they're still good games in their own right, and anyone who hasn't played them should definitely play through them when they come to 3DS. I can't wait until Shantae comes to the 3DS. I loved the DSiWare game, and I'd love to play the original, but I can't bear to cough up the money the cartridge fetches on eBay. Hopefully prices will come down a bit once it's available here. I really should play through Wario Land 3... I've had it for awhile now and never put much time into it. And again, MGS is awesome. Brings together the best elements of the 3D games and Metal Gear 1 and 2. I've played. In fact, I've started it at least three times. Unfortunately, I have never finished it. 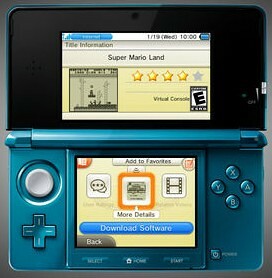 It is something I will take care of as soon as it comes out on the 3DS VC. 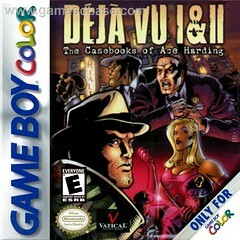 Okay you just got me excited about the GB Virtual Console. I forgot how many gems there were! The 3DS has some sort of tilting function for gameplay right? Kirby Tilt 'n Tumble might just work then! I'd love to play that one. I agree with most of the other choices as well. The Wario Land games are classic, and pretty much got me into portable gaming. I've always wondered about that Metal Gear game too. Everything I've read about it sounds excellent. I got into Metal Gear with Metal Gear Solid on the PS1. 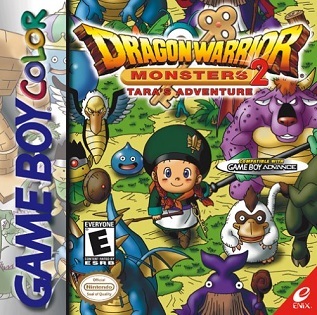 But I bought it years after it came out, though, which is why I never even gave the GBC game a look. I will definitely not pass it up again. Mario Tennis definitely would earn a place in my top 10. It's a great learning tool! I've never played Mario Tennis. I heard it was good, though. What do you mean it's a great learning tool? Bionic Commando had a really, really kickass soundtrack. It's one of two games I managed to get on Radio Trivia, along with Mighty Morphin Power Rangers on the SNES. I mean that everything I know about tennis, I know from that game! Alright, so I was pretty damn ignorant about tennis before playing it, but still. It's got a complete lexicon of the different tennis terms, plus the single player (which is kind of an RPG) takes you through all of the different techniques and how to use them, and all very naturally. It's just a great game. I didn't know I could like tennis before playing MT. Is there really a point in releasing the GBC versions of Mario Golf and Mario Tennis when there are updated versions of both games on the GBA? Why not just play those instead? Beyond nostalgia? ...I don't know. I played both versions but neither are fresh enough in my memory to compare. I remember not being into the GBA game as much, but I can't remember it adding any flaws. The games were probably very similar and getting more of the same, while good, was not as exciting. The GBA hasn't been announced for 3DS virtual console.